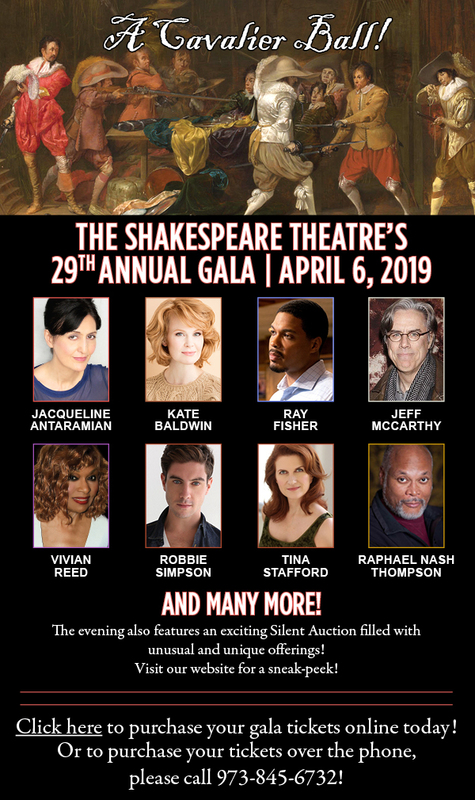 nj arts maven: STNJ’S 29TH ANNUAL GALA WILL BE AN UNFORGETTABLE NIGHT! STNJ’S 29TH ANNUAL GALA WILL BE AN UNFORGETTABLE NIGHT! Questions? Call 973-845-6732 or visit www.ShakespeareNJ.org.